Jim Carrey wants you to exercise your right to vote — and to exorcise the “demon” currently in the White House. Carrey included a link to the voter-registration site Vote.gov for good measure, and easy access. 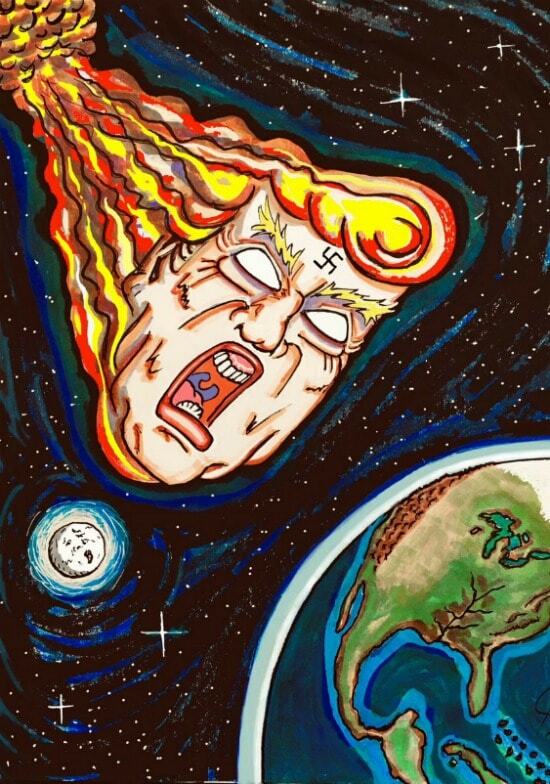 The artwork itself depicts a hellish, and quite dark, scenario, with a very Trump-like visage superimposed over columns that might, perhaps, be situated at the White House. Between the columns stands a figure in silhouette, seeming to carry a bag that, possibly, might contain a bottle of holy water, a holy cross, a copy of the Good Book and a priest’s aspergillum. 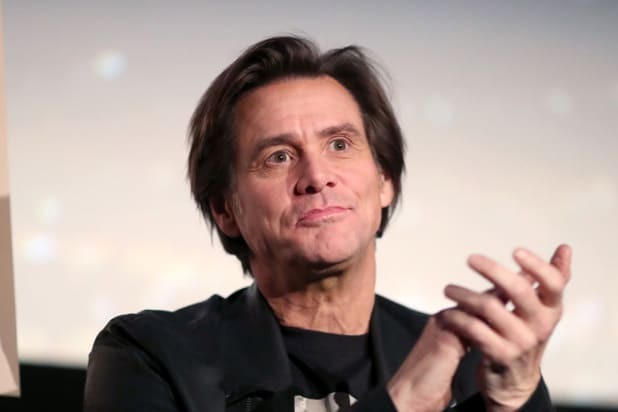 Whether the power of Christ compels you or not, Check out Carrey’s latest work below.